Dinosaur NM has the most unique visitor center of all national parks. 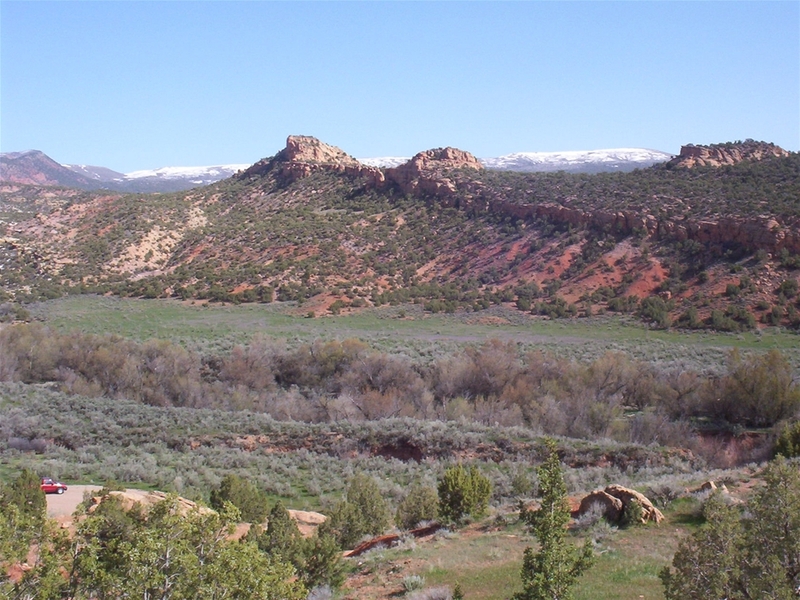 The visitor center is built up against a rock wall containing many dinosaur fossils. 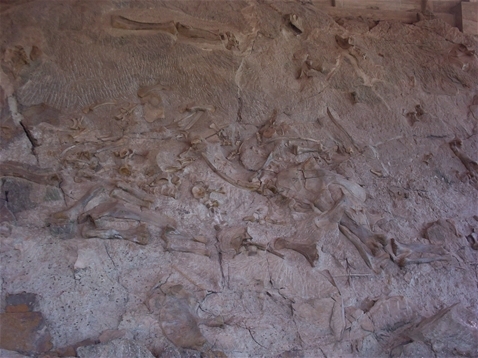 Visitors can see these fossils up close and can even touch them. 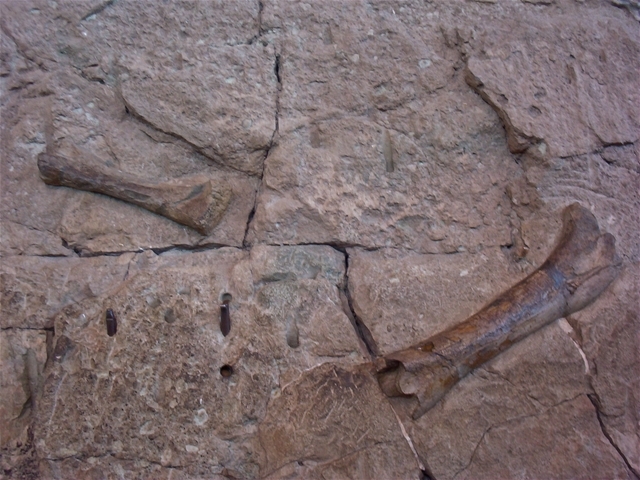 Although, they are indoors (for protection), these fossils are in their natural setting and have not been removed from the rock wall. To the left and below, you can see what appear to arm or leg bones as well as what appears to be a spine.